Heading into Christmas break, the Tampa Bay Lightning were the best team in the NHL. With 58 points in 37 games, they stand six points ahead of their closest competition, the Toronto Maple Leafs, for both the Atlantic Division title and for the Presidents’ Trophy. Not only did they enter the break on a 12-game point streak, but they also only lost one game in December, an overtime decision to the Winnipeg Jets. Offensively, the Lightning’s numbers are staggering. They have scored a league-high 151 goals, meaning they are averaging more than four goals a game, while featuring the league’s top powerplay with a 28.9 conversion rate. This incredible scoring pace has given them a plus-48 goal differential, 11 more than second place. In terms of defense and goaltending, the Lightning are no slouches either. After being much maligned last season, they have improved their penalty kill to a respectable 82.9 percent success rate, good for eighth in the league. While they are giving up 2.86 goals-per-game, this was done with backup Louis Domingue starting more than a month of the season. When starter Andrei Vasilevskiy is healthy and on the ice, he has posted a .928 save percentage, which is second-highest in the league. Oh, and Domingue has 15 wins this season, putting him in the top-10 for wins this season. All of this success starts at the top for the Lightning. 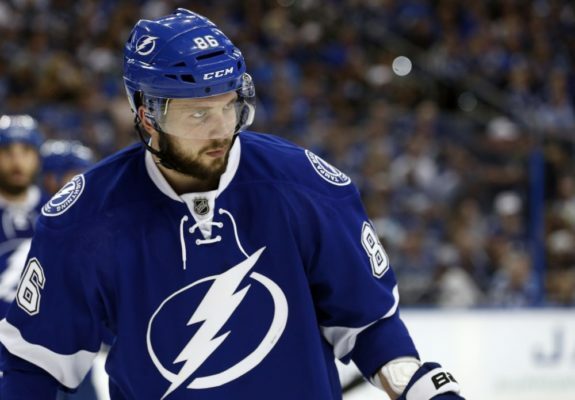 Nikita Kucherov, known as one of the league’s top goalscorers, has found himself as more of a playmaker this season, dolling out assists as quickly as he was scoring goals last season. Despite having a slow start to the season (by his standards), Kucherov has caught fire, posting 57 points in 37 games, putting him second in league scoring behind only Mikko Rantanen of the Colorado Avalanche. As far as goalscoring goes, the Lightning have been able to rely on a familiar face to light the lamp. Tyler Johnson has seen a bit of a resurgence this season, posting 16 goals and 27 points. Should he continue this pace, will break the 30-goal plateau for the first time in his career. The only players in front of Kucherov and Johnson on the Lightning’s goalscoring charts are Brayden Point (21 goals) and Steven Stamkos (20 goals). Both of these former All-Stars were expected to be focal points of the team’s offensive production this season, and neither has failed to produce so far. While it’s not likely that both will continue scoring at this same clip all season long, either player could stay hot and reach the 40-goal mark before the end of the season. Behind the Lightning’s top-four scorers is a myriad of players who are contributing in equal ways to the team’s nightly success. Take their third line consisting of rookies Anthony Cirelli and Mathieu Joseph along with veteran Alex Killorn. All three players have recorded nine goals while being fixtures on the penalty kill. Cirelli, in particular, has impressed on the penalty kill by scoring three shorthanded goals, second-most in the league. Roleplayers like J.T. Miller, Yanni Gourde and Ondrej Palat fill in the team’s forwards, contributing everywhere from a top-line goalscorer to a bottom-line grinder role. 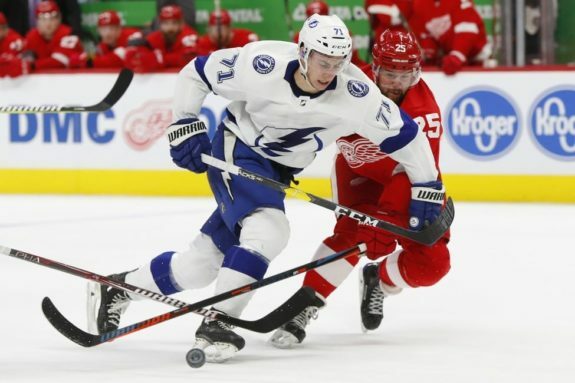 Having three versatile players who can play up and down the lineup has allowed head coach Jon Cooper to mix things up nightly, keeping his team from getting stale or predictable. The Lightning are winning based on more than just their offense this season, though. Their defense has seen improvements since last season, with depth playing a big part in their early success. For example, in past seasons, Victor Hedman was the focal point of the defense, and for good reason. As a Norris-winning defenseman, he should be expected to carry the team for 24-plus minutes a night while manning the power play and penalty kill. This season, though, the Lightning have been able to rely not just on Hedman, but also Ryan McDonagh, who has been putting together a Norris-caliber season so far. This, along with the emergence of rookie Erik Cernak and some great play from veterans Anton Stralman, Dan Girardi and Braydon Coburn has allowed the Lightning to spread out their defensive minutes across the lineup. 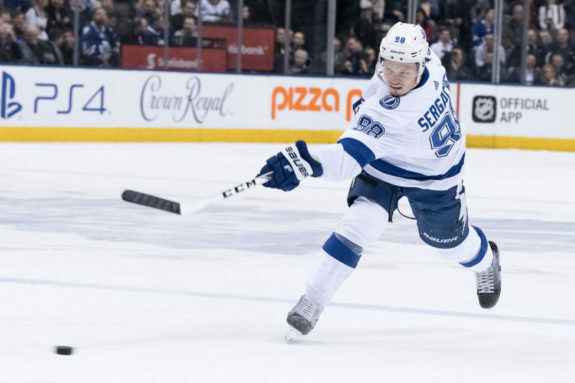 This depth isn’t all positive, though, as Mikhail Sergachev has seen a reduced role with the team in his Sophomore campaign with the addition of McDonagh. This has kept players like Hedman and McDonagh from having to play 25-plus minutes a night, which could be important in the playoffs when Cooper will likely start leaning on his stars for more ice time each game. If they can stay fresh now, it may make the difference in a Game 7 in May. 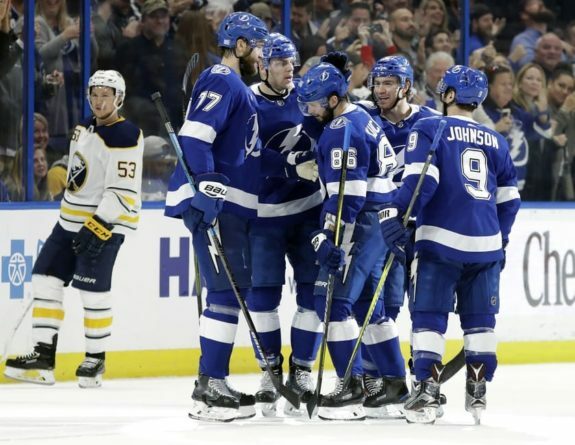 Even with all of the success they have seen this season, the Lightning are far from home free as we approach the halfway point of the season. Despite winning at a prolific clip, the Maple Leafs and Buffalo Sabres are both within striking distance of the Atlantic Division title, and teams like the Jets could easily pass them for the Presidents’ Trophy, should they slip for even a moment. We saw this happen last season. After dominating the first half of the season, the Lightning started to slide down the standings and eventually finished third overall and only a point ahead of the Boston Bruins for the Atlantic crown. Things happen fast in the NHL, and a bad game can turn into a bad week, which can turn into a bad month for the team. No matter what the future may hold, this team is something special right now, and is, most importantly, fun to watch each and every night.